Halloween Concept. 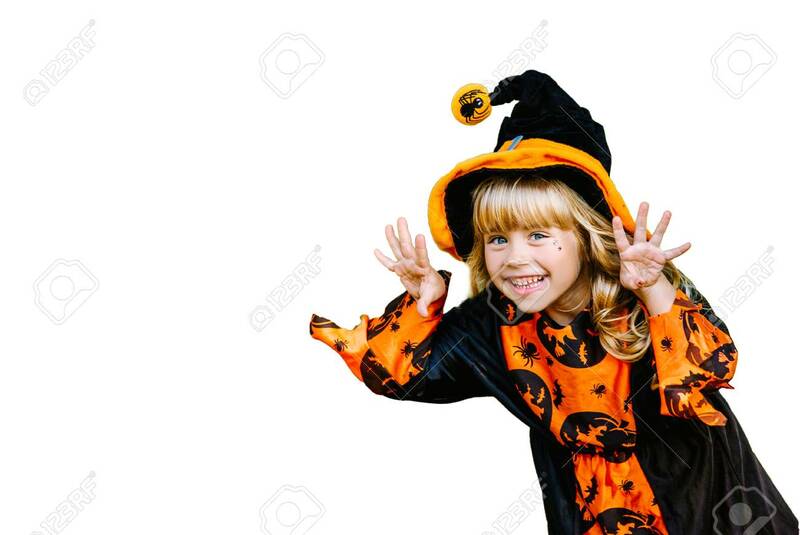 Little Girl Dressed Up As A Witch Isolated On White Banco De Imagens Royalty Free, Ilustrações, Imagens E Banco De Imagens.. Image 111082528.